Since early 2015 we have been hearing about the new features coming to Outlook.com. 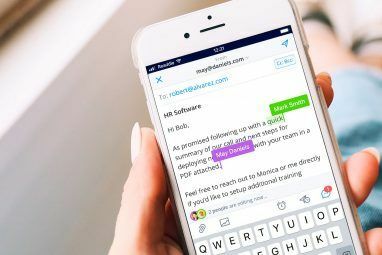 While new users received the updated version right away, existing users have been slowly migrated to this revamped email tool since February. Microsoft is planning to migrate all users by the end of this year. Are you wondering what exactly is new with Outlook.com? Take a look at these handy and useful new options. Users will now have access to several of the robust features of Office 365, increased speed and steadiness for new features, and an improved experience for those using Outlook apps on their computer. For working on documents with co-workers 3 Microsoft Office Online Teamwork & Collaboration Tools That Impress 3 Microsoft Office Online Teamwork & Collaboration Tools That Impress With Office 2016 and its free online counterpart, Office Online, Microsoft has rolled out new tools for teams to collaborate remotely and in real time. We show you what you can't miss. Read More , teammates, or fellow students, you can now do so easily with side-by-side viewing. This feature puts the document on one side of your inbox with the email on the other side, so that you can see both at the same time. If you would like to edit the document by altering it or simply adding a note, select Edit and reply from the top navigation. This action will make a copy and immediately open the online editor, for example Word Online, so that you can work with the document. Changes are saved automatically, and when you are finished, click the Send button on the email to send the updated version to your recipient. For messages that include an attachment, you will now see a reminder for that attachment when you add a new recipient to the email stream. You will be prompted to add the most recent attachment or include nothing. This is a handy feature that saves you from relying on your memory to include an important attachment. You may recall the addition of a feature called Mentions when it was released for the desktop Outlook app 10 New Microsoft Office 2016 Features to Increase Productivity 10 New Microsoft Office 2016 Features to Increase Productivity Microsoft Office 2016 receives new features all the time. They are available first to Office Insiders and Office 365 subscribers. 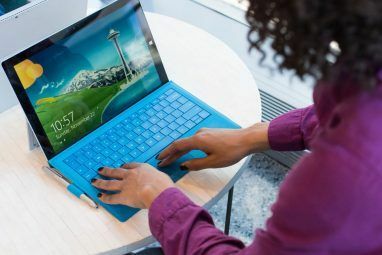 We show you the best new Word, Excel, PowerPoint, and Outlook features and how to... Read More . This is another feature that has been added to Outlook.com, making it easy to both draw attention to a contact in your message as well as pop their email address into the To line. While composing your message, simply click the @ symbol followed by the contact you would like to insert. You will see suggestions in a drop-down box as you type their name and can add one with a click. You may have been enjoying the PayPal, Evernote, and Uber add-ins for Outlook.com, but now there are a few more to get excited about. GIPHY, Yelp, and Wunderlist are officially available in the Office Store. GIPHY is a fun add-in that lets you put some pizzazz to your messages. Without leaving Outlook.com, you can add animated GIFs for special occasions, to give your recipient a laugh, or just for something silly. Yelp is a popular tool for searching nearby locations. And, including what you find in an email can help you make your plans. Whether it is a restaurant, store, hotel, or night club, you can pop the details right into your Outlook.com email and send to a friend. Wunderlist is a favorite when it comes to managing tasks and the integration with Outlook.com means that you can tackle and share to-dos easier. You can quickly move emails that are task-related right to your to-do list. Plus, you can share your lists and to-dos so that the whole family is in the loop with their tasks. Clutter is a new folder where low-priority emails will be automatically moved to, the more you use Outlook.com. 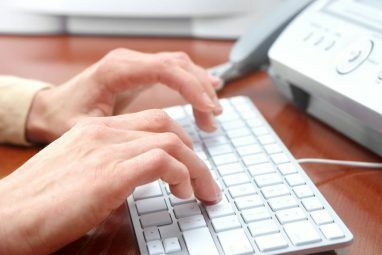 Based on habits of messages that you often ignore, enabling this option will move those messages into the separate Clutter folder How to Avoid Outlook Junk Mail and Email Clutter How to Avoid Outlook Junk Mail and Email Clutter If you struggle to get through your emails, you'll love these Outlook features. They can help you filter and prioritize all incoming email. Read More for you to view later. You can also manually move emails to Clutter from the message menu drop-down box. To access your Clutter options, open your settings by selecting the gear icon from the top right navigation and click Options. In the menu on the left, expand Mail to display all of the items and click Clutter. You can then enable or disable options to separate items as Clutter and receive notifications about those messages identified as Clutter. Once activated, Clutter will display in your list of folders. For keeping important messages at the top of your inbox as well as tagging emails that require a follow-up, pins and flags can be very helpful. Both options are accessible from the top right corner of the email. When you pin a message, it will stay at the top until you unpin it. All pinned emails will have a different color background, depending on your theme. 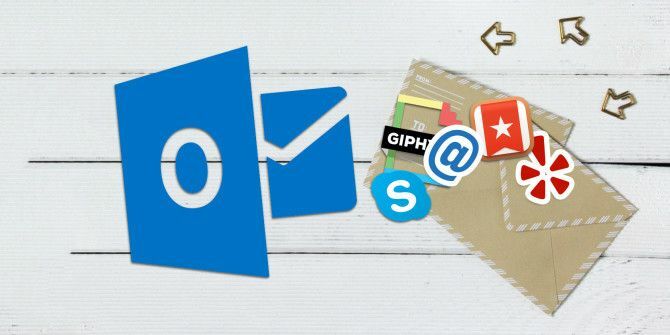 Flags are perfect for those messages that require you to take action later 6 Best Practices for Outlook to Boost Your Workflow 6 Best Practices for Outlook to Boost Your Workflow If you spend any serious amount of time using Outlook, you should investigate your workflow. Make your email work for you and save time for more important tasks. Read More . You can also add a flag from the email menu drop-down box. When pasting a link into an email for a webpage or video, from a source such as Vimeo, you and your recipient will now see a preview. This is a nicely displayed clipping, so that your recipient can see at a glance, before clicking it, what you are sharing with them. Now you can brighten up your messages with emojis that are triggered from the text you type. For example, if you type :happy, :birthday, or :sad, you will see a small pop-up box with suggested emojis that you can insert with a click. Additionally, inserting images now provides you with editing and formatting options 10 Free Photo Editor Tools To Make The Most Of Your Shots 10 Free Photo Editor Tools To Make The Most Of Your Shots Whatever happened to all the snapshots you've taken in the past? If you've got plans and ideas, here are some great Windows and some cross platform tools to process them with. Read More right within your message. Just copy and paste your photograph or picture into the email and take advantage of these new options to make it even better. With more than 10 new themes, you can customize your Outlook.com inbox by giving it some flair. From robots and circuits to crayons and Lego bricks, pick a theme to match your mood, interest, or personality. To check out the options and apply a new theme, open your settings by selecting the gear icon from the top right navigation. Click Change theme and browse the themes in the pop-out window. You can select each one to see how it looks and when you are satisfied with your choice, click OK. Here are additional features and options you will notice with the new Outlook.com. Pop-out windows for reading and composing emails. Suggestions when using the search box. Filters to refine your search results. Built-in Skype availability for chats and video or phone calls. Ability to add flight confirmations to your calendar. A smarter address book How to Export Outlook Contacts to Anywhere How to Export Outlook Contacts to Anywhere Do you need to export your Outlook contacts and are not sure where to begin? We show you how to export from Outlook and import in your destination. Read More for those you are in contact with the most. Have You Been Migrated to the New Outlook.com Yet? Please keep in mind that the new Outlook.com is being rolled out over time to existing users. So, if you do not see the updated version yet, just know that it is on its way. Meanwhile, you can also test the ad-free Outlook.com Premium, which is free for the first year. If you have been migrated, are you enjoying the new features available and if so, which are your favorites? Share your thoughts in the comments below. I'm done with the "children's page", can I get my old Outlook back please?